Little Miss is already showing signs of wanting to learn her name. WHAT?! How is she old enough for this??! 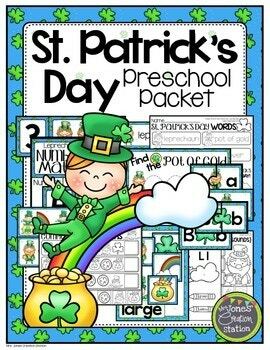 Of course, I had to find a way to tie in St. Patricks with this practice! I’ve actually used this activity for a few years now, but I decided to tweak it a little. There are many ways to prep for this activity. By all means, let your little learner help you decide! 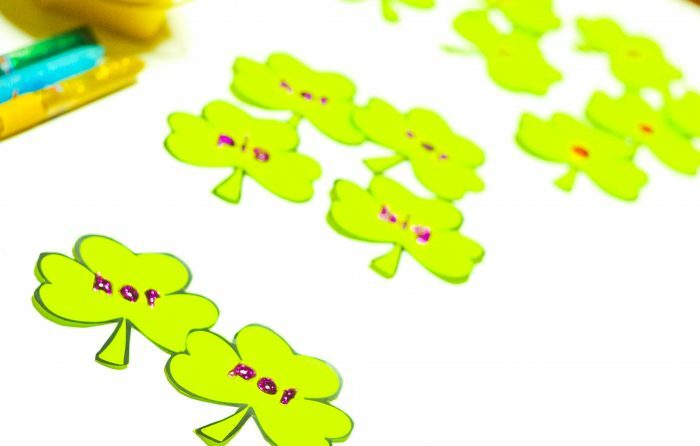 Head over to the Dollar Tree/Dollar Store and pick up a pack of foam shamrocks. Download the FREE editable template below for a quick activity. There are advantages to all three options. Obviously, using the foam die cuts from the Dollar Store will save you time. There is no cutting involved. Also, drawing your own shamrocks work great when you don’t have a printer handy. If you spend a little time drawing your own template, you can do this activity anywhere! And of course, the freebie below helps those with a little OCD (or I say teacher OCD like me! ), What’s great about the download is that it’s editable and you can make it relevant to your learner. While Little Miss was working on her name, G came in and wanted in on the fun! Being a big first grader, I had things already to go for him. In fact, I knew he couldn’t stay away from the fun for long! With the download, you not only get a name activity, but you get an alphabet and rhyming word match. Or instead of rhyming, use your sight words or your phonics rules that you’re currently going over. That’s the best part about using an editable template for an activity. The options are endless! If you’re unfamiliar with editing a resource, I’ve got a great blog post to show you how. It’s very easy and the download is free, so that’s a double win! There are so many ways to use this resource, and the supply list can be just about anything. 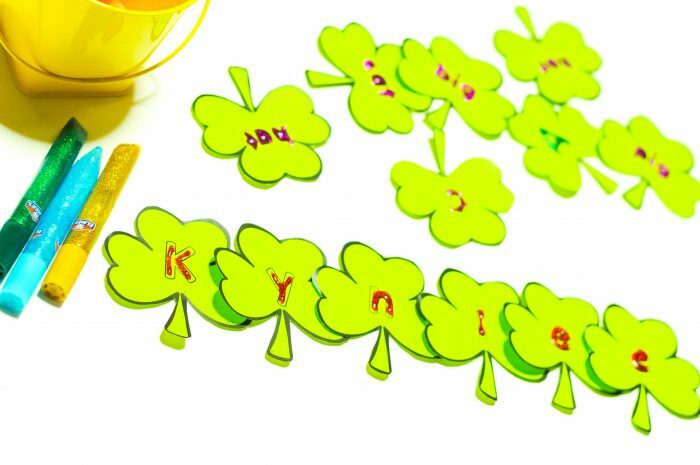 Of course, glitter just seems to fit the theme, with shamrocks, rainbows, and gold. And what four year old doesn’t love glitter! For younger leaners (ages 3 and under) you might consider using bright pens, markers or crayons. There are even great sets of glitter markers and crayons out there! 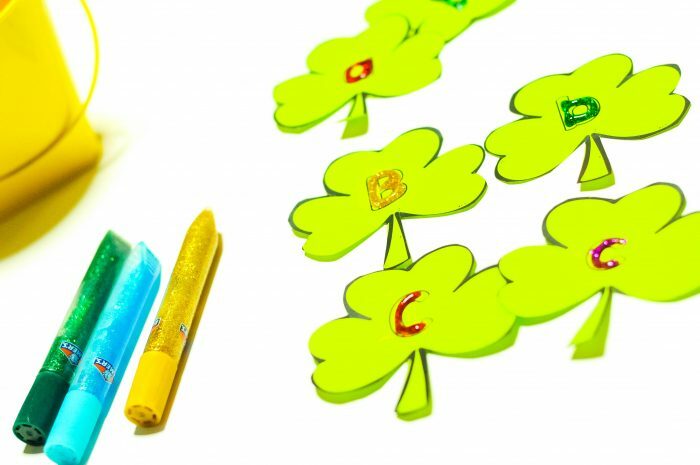 For preschool or pre-k ages, I recommend glitter glue pens. It has the same effect as loose glitter, but with less the mess! Obviously, the big kids will want the real thing! All you need for this age group is glue and glitter. And you make them clean the mess! 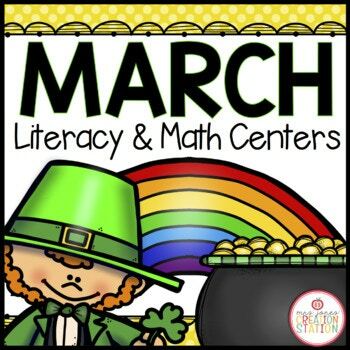 Any way you do it, your learners will have so much fun with this literacy activity! To grab this editable resource, just click on the box below! 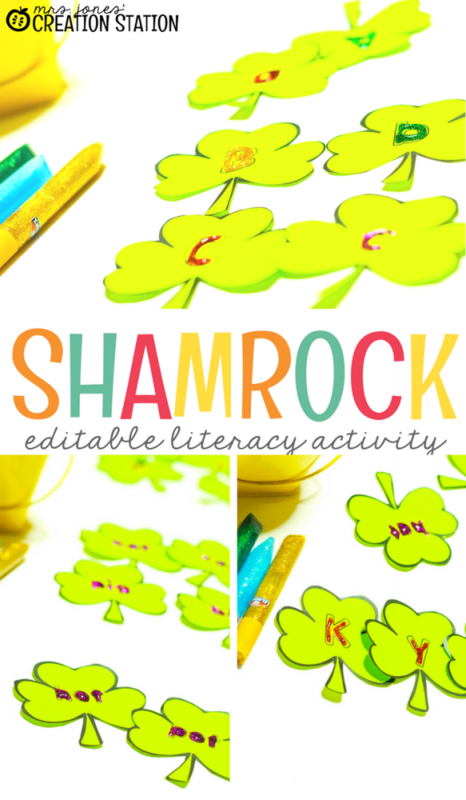 Need some more St. Patrick’s Day Activities? cute and fun way to learn! Glitter makes everything more fun. At least my daughter thinks so. A sticky lint roller helps with the clean up and keeps it fun for me too. Cute idea. Thanks for sharing.